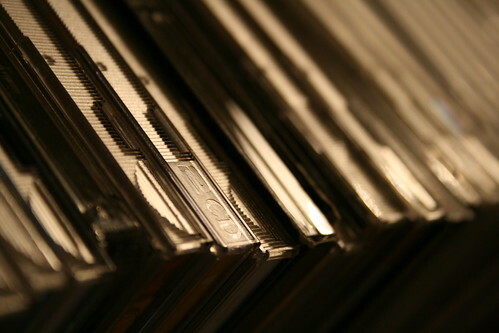 An Ode to the CD by CD Baby; Could You Really Love Music Buyers This Much? A tower of plastic, and a photographic reflection on the strange physical form music took at the height of the CD. Photo (CC-BY-SA) William Hook. Can music as a physical object have value and meaning again? For many music enthusiasts, that affection has turned back to the vinyl record, not the CD. (How many artists have we seen lately offering vinyl as the “premium” package for listeners?) At an extreme, there’s Alessandro Cortini’s SuONOIO, an album that has its own accompanying custom synthesizer. But while we ponder this question, the one that seems the perpetual topic for music conferences and industry pundits, I turn instead to this (tongue-in-cheek) description of CD shipping. Given the record sales for many independent artists, maybe this parody isn’t actually so far-fetched. If you’ve never ordered a physical CD Baby CD, you may not have seen it before. I can tell you it amused and delighted the person who got it, though (it wasn’t me), so never underestimate the value of caring for your musical customer. Your CDs have been gently taken from our CD Baby shelves with sterilized contamination-free gloves and placed onto a satin pillow. A team of 50 employees inspected your CDs and polished them to make sure they were in the best possible condition before mailing. Our packing specialist from Japan lit a candle and a hush fell over the crowd as he put your CDs into the finest gold-lined box that money can buy. We all had a wonderful celebration afterwards and the whole party marched down the street to the post office where the entire town of Portland waved “Bon Voyage!” to your package, on its way to you, in our private CD Baby jet on this day, August 6, 2010. We hope you had a wonderful time shopping at CD Baby. In commemoration, we have placed your picture on our wall as “Customer of the Year.” We’re all exhausted but can’t wait for you to come back to CDBABY.COM!! We miss you already. We’ll be right here at http://cdbaby.com/, patiently awaiting your return. Yes, it’s parody. Yes, I’m doing a brief fluff blog post. (Refunds available.) Yes, I’m thinking about how some of this (sadly, not the private jet) might actually be possible as part of the music retail experience. And really, don’t your fans and listeners deserve as much? Updated – do some people care as much as the imaginary employees in this description? Absolutely. See a line of handmade CD cases on Etsy, a a how-to on CD cases, limited-edition handmade CDs used as a fundraiser, and a whole mess of handmade CDs and merch found at this project site — including a special giveaway at MUM concerts. Doing a special ritual when someone buys one — optional.